I'm so excited to be sharing another amazing giveaway with you all! 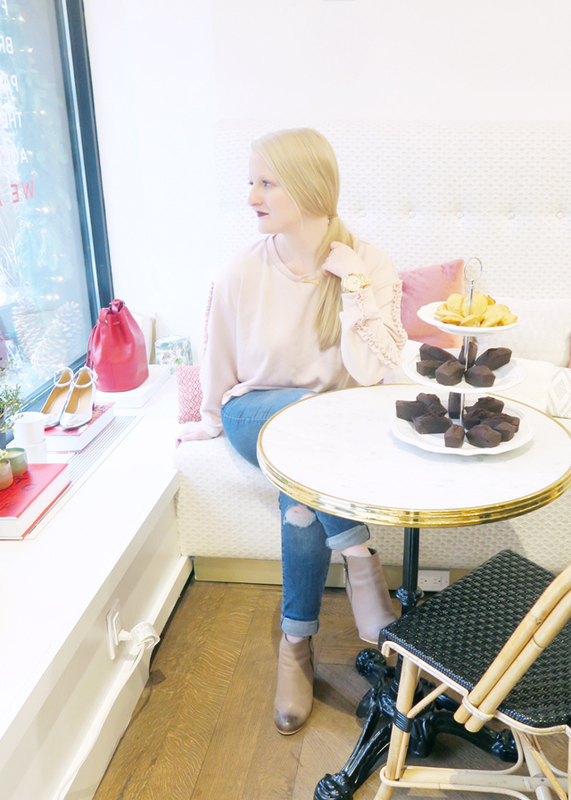 I've teamed up with some of my favorite bloggers to bring you all the chance to win $1000 to Nordstrom to ring in the new year! This giveaway is open internationally and runs from 12/26 until 1/02! All you have you have to do to enter is complete as many entries in the Rafflecopter widget below (bonus points if you complete all of them!). Good luck! I know I shared a recipe yesterday, but I wanted to share another one today because these are the perfect Christmas cookies. 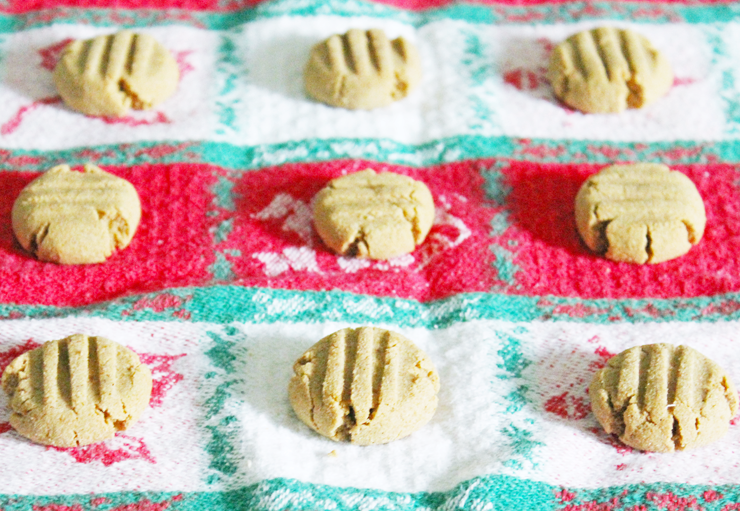 This recipe for Butter Cookies is from my Great-Grandmother and my family makes these every year for the holidays. It's really not Christmas in our house without them! They're such a simple recipe, but taste so amazing and are very easy to customize. You can decorate them with whatever sprinkles you want, add nuts, drizzle them with chocolate or even leave them plain. 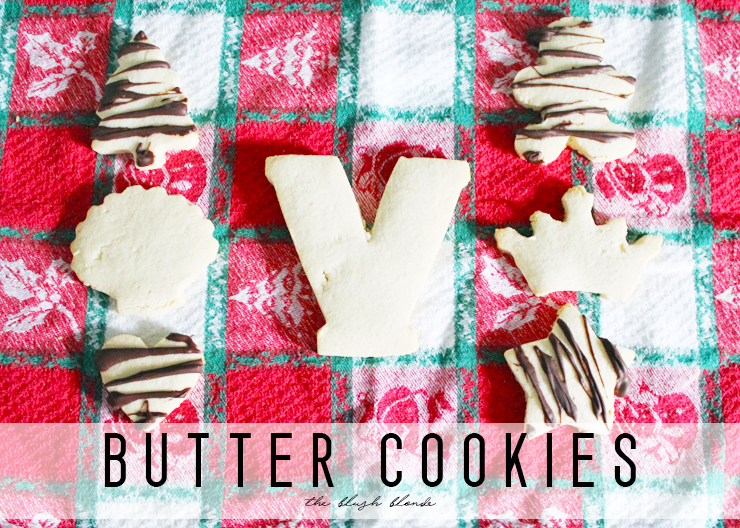 No matter what you do with them the cookies you make with this tried and true family recipe are sure to be a hit! (To make gluten free I mixed 2 cups of Pillsbury Best Multi-Purpose Gluten Free Flour Blend with 2 cups of coconut flour). -Mix flour and baking soda until well combined, set aside. -Beat butter until creamy, add sugar, beating well. -Add eggs and vanilla, mix well. -Gradually add flour/baking soda mixture and mix until combined. -Roll out cookies, dusting hands, surface, and rolling-pin with flour to avoid sticking, cut with cookie cutters and place on cookie sheet. -Bake at 350 degrees for about 15-20 minutes. -Transfer from cookie sheet onto wire cooling rack. -Optional: Melt chocolate (I love Hershey's Milk Chocolate for this) and drizzle over cookies. 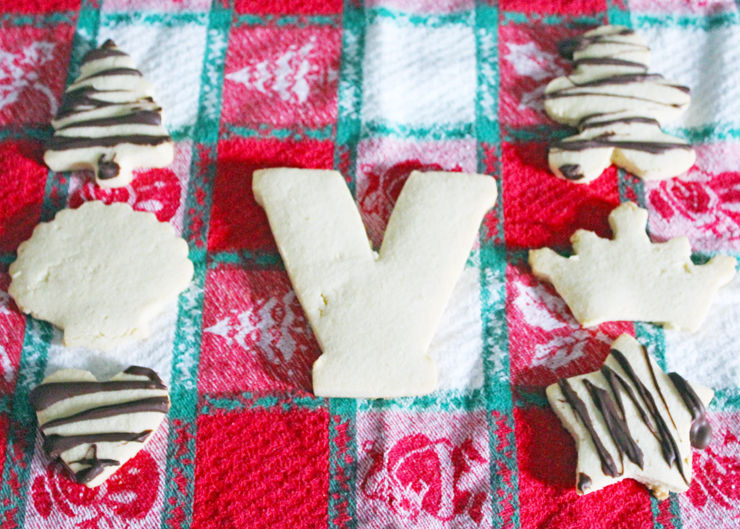 What are your favorite type of Christmas cookies to bake? My other dog treat recipes (which you can find here and here) have both been so popular that they, along with the holiday season, inspired me to create a new one. I go crazy at the holidays making eight to ten different types of cookies for humans and this year I thought to myself, "why should we have all the fun? Lucy deserves some Christmas cookies too!" 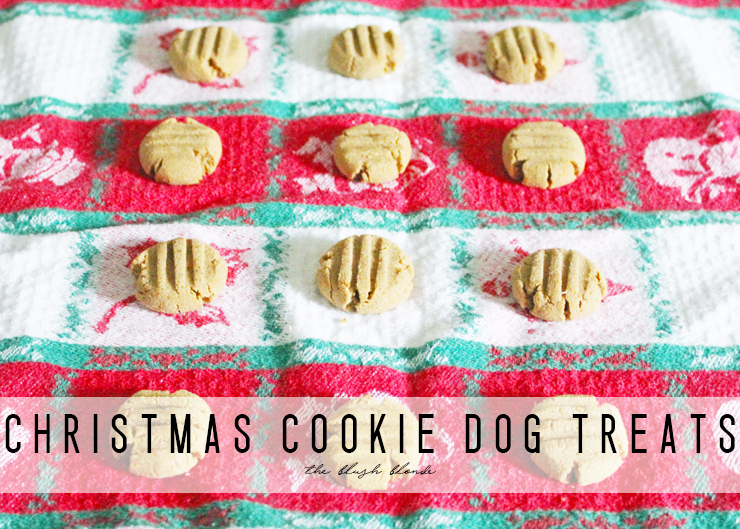 This lead me to create a gingerbread dog treat recipe similar to the (human) gingerbread cookies I make every year, but with all dog safe ingredients. These smell amazing they must taste great too because Lucy just goes wild over them! I'm even planning on giving them to some of Lucy's little doggie friends as a Christmas gift from her since the recipe makes so many treats. Now the dogs in my life (and yours) can be included in one of my favorite parts of the holiday season! *I used 1 cup coconut flour and 1 cup rice flour, but any gluten free flour will work. -Mix gluten free flour, ground ginger, ground cinnamon, and ground cloves until combined. -Add eggs, molasses, melted coconut oil, and water, mixing between the addition of each ingredient. -Bake at 400 degrees for 10 minutes. I think I'm pretty much done with my holiday shopping, but I need to go through today and make sure that I definitely have everything I need. If there's something I didn't get I will most likely be ordering it online and for that I need to know what shops can get it here by Christmas (so no one knows what I forgot!). 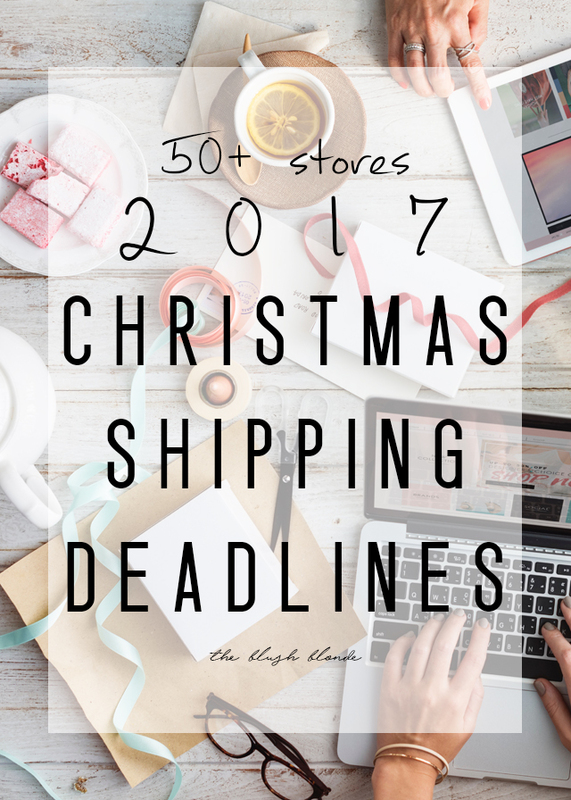 If you also forgot something, just haven't gotten around to any of your shopping yet, or are somewhere in between and need to do some online shopping for Christmas I've got you covered with over fifty stores' holiday shipping deadlines. Below is your secret weapon for making sure you get everything in time for Christmas! Who doesn't love sweet stocking stuffers? Here I have for you my top ten favorite stocking stuffers for 2017. These are great for your mom, sister, best friend, or anyone else who's stocking you want to drop a little something into this holiday season. Everything here is priced under $35 except for this luxe pair of slipper socks, which I'm swooning over. And this, this, this, and this are actually under $20, making them the perfect addition to any gift! While I'm loving everything on the list my favorites are definitely this and this. No matter what you pick though the recipient is sure to be thrilled after opening their stocking! I had a post planned for today, but writing my Christmas/Holiday cards took up a lot more time and energy than I initially thought they would! They're all done now, which feels great and I will have a post up tomorrow for all of you. 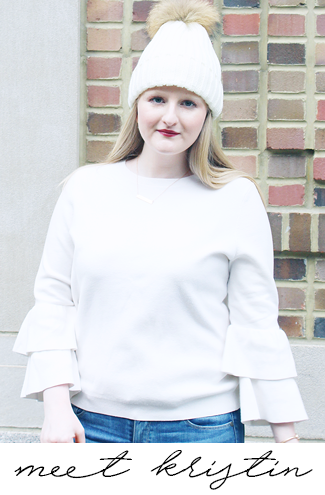 Today though I needed to drop in anyway though because I'm teaming up with some amazing bloggers and #Girlbosses to bring you an awesome holiday giveaway! One lucky follower will be able to win a $1000 Target gift card and have some holiday cash to spend! If you'd like to enter, just use the Rafflecopter widget below (and you'll get 10 bonus entries for completing all the tasks!). Good luck! What will you buy with your gift card if you win? Comment below? 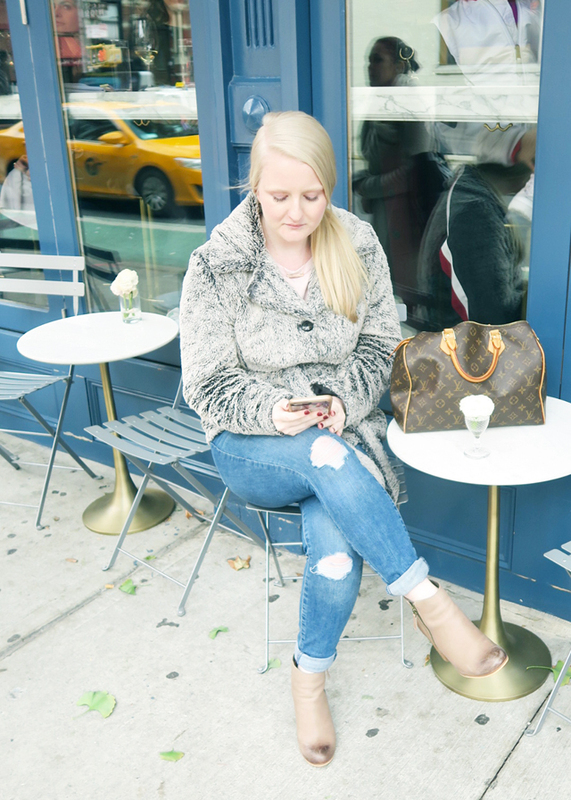 If you follow me on Instagram then you know I spent the weekend before Thanksgiving in New York City for a quick girls trip. My sweet friend Kelsie came in for the weekend from Ohio and I took the easy train ride into the city to meet her. We had such a great weekend and it was definitely much needed! 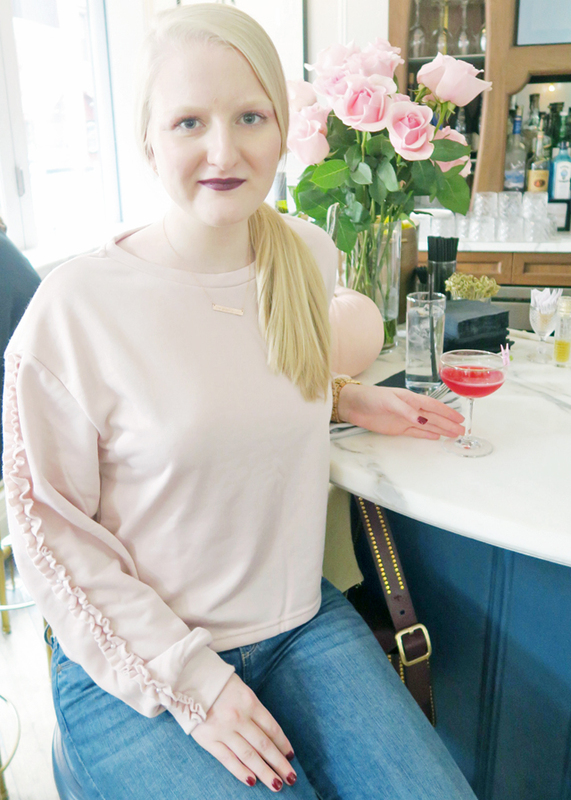 Below I am talking all about what we did and breaking down my guide to my NYC Girls Weekend. Airbnb || Ok so I am totally behind the ball on this one, but it was my first time staying in an Airbnb and I loved it and this says a lot because I am a huge fan of hotels. I loved how cozy it was and how "New York" it felt to stay in an apartment. I also loved how it forced me to check out a different part of the city then I usually do. Next time I'm spending the night in NYC I will definitely be doing this instead of a hotel! Lexington Brass || This is where we ate dinner the first night before catching a show. I was craving a steak (which I don't usually eat) and had the most amazing herb crusted filet mignon and truffle fries here. The setting is intimate at the tables and more lively at the bar, which makes this place great for both drinks and dinner. I'm already dreaming about getting the exact same dinner here again soon. While We Were Young || Of course we had to hit this picturesque spot that was made famous by Instagram. This place is just as cute in person as it is in pictures and I just wanted to stay there and shoot all day! I had the Kobe burger for brunch, which was delicious, but not exactly allergy friendly. The only downside about this place is that it's so tiny that it limits their abilities to accommodate food allergies, and while they were super nice about it, this makes eating there tricky for someone like me. La Pizza & La Pasta in Eataly || Italian food is my absolute favorite so I always love going to Eataly. We ran here for a quick dinner on the last night so I could eat something before getting back on the train. I had only ever been to the Flatiron location so it was cool to see their location Downtown. This is always a good place to head for a delicious traditional Italian meal. 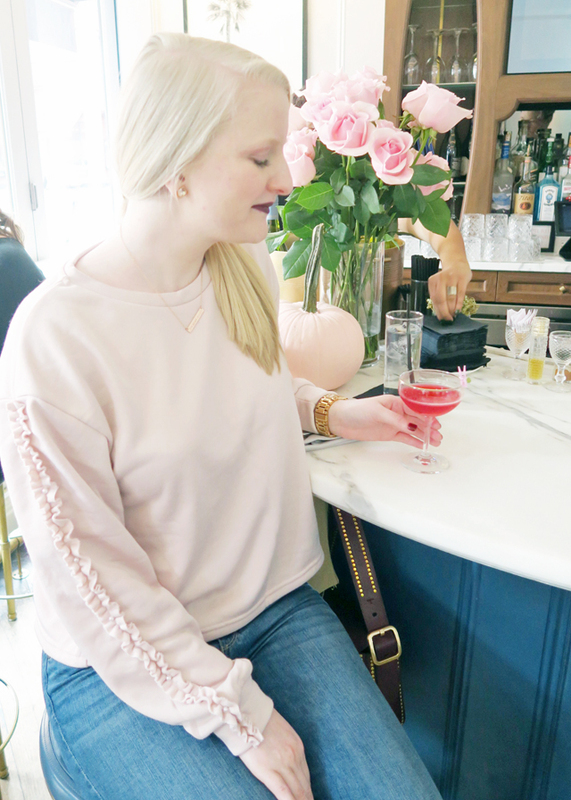 Chloe's Soft Serve || I have been a big fan of Chloe's Fruit Pops for quite some time and have been dying to go here since I found out it existed. With all my crazy food allergies finding ice pops I can have is difficult, but Chloe's are made with fruit, water, and a small amount of cane sugar, which means I can have them. At their flagship store they take this same concept (fruit, water, and a small amount of cane sugar) and serve it in soft serve form. The soft serve here is so good and an almost guilt free treat, making it a major win in my book! Sprinkles || I always have to stop here when I'm in NYC and I went to their super tiny (blink and you'll miss it) location outside of Penn Station before I got on the train home. 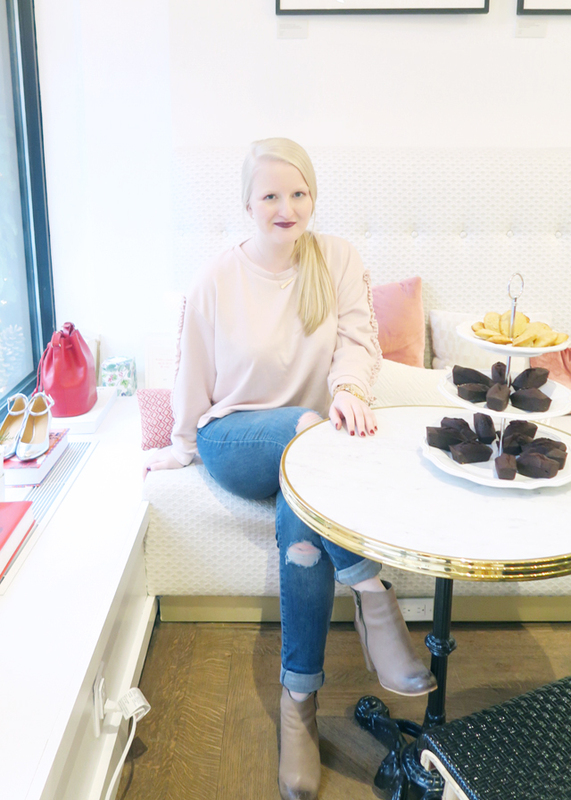 All of their cupcakes are delicious, but you definitely need to make this a stop if you are gluten free because they're Gluten Free Red Velvet Cupcakes and Gluten Free Chocolate Chip cookies are the best I've ever had! Bryant Park Winter Village || If you're in the city during Christmas time this is a must visit. Bryant Park is set up with the cutest little village with tons of shops, places to eat, an ice skating rink, a Christmas tree and more. I went here last year with my Mom for the first time and was excited to get to see it again! Zara || Kelsie doesn't have a Zara near her so she wanted to go while we were in the city and I always love stopping here. Zara is great for inexpensive basics or to purchase trendy pieces without breaking the bank. If you've never been to a Zara store before make sure to stop by one of the locations if you're ever in NYC. 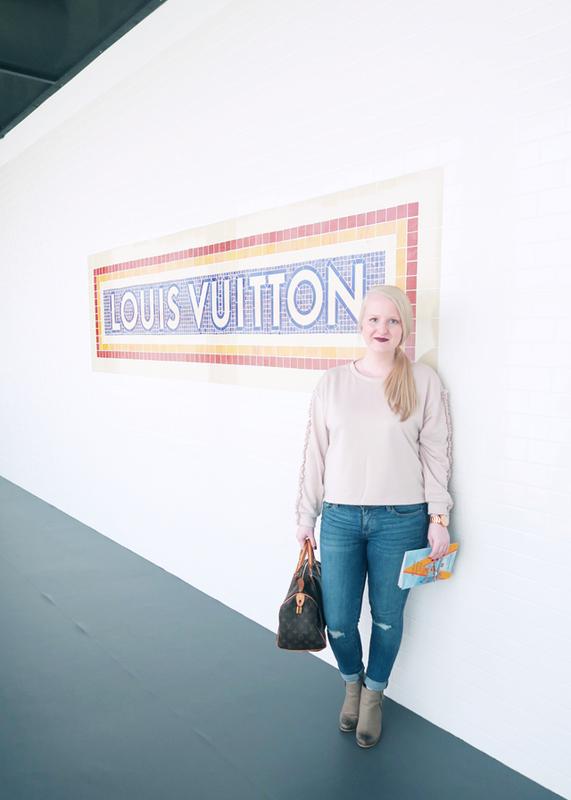 & Other Stories || Kelsie discovered this store when she was in Europe and was looking forward to shopping there again and I was looking forward to my first trip! I would describe this as the grown up version of Zara, as they stock similar pieces that are better made and a little pricier. There were so many beautiful things (including a great beauty line!) and I can't wait to go again next time I'm in the city. Sézane || Another spot that had been blowing up all over Instagram that we absolutely had to visit. This is a store from France that recently opened their first US location, L'Appartement New York (they have four locations in Paris and one in London). 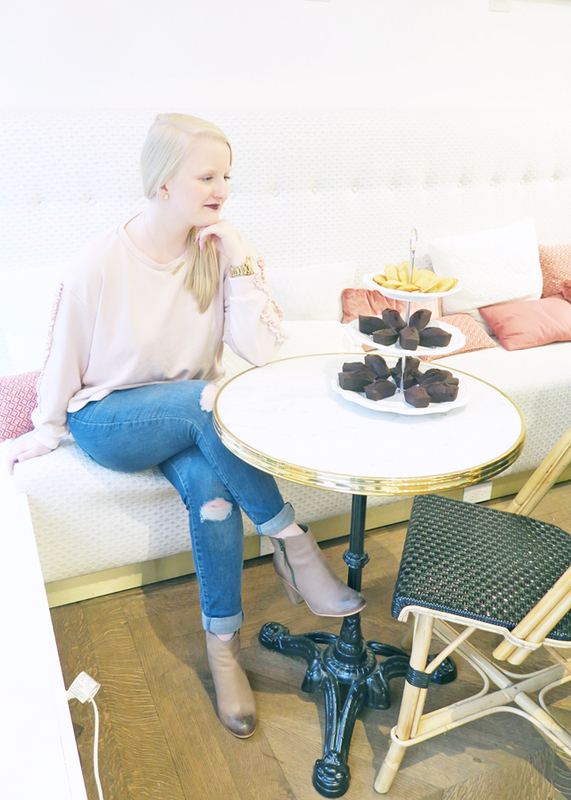 This shop is a hybrid between a store and a café with sweet little café seating to one side of the space where you can get treats from Maman and the rest of the space is a home and clothing store. This spot is so chic and it was easy to see why it's such a hit on Insta! 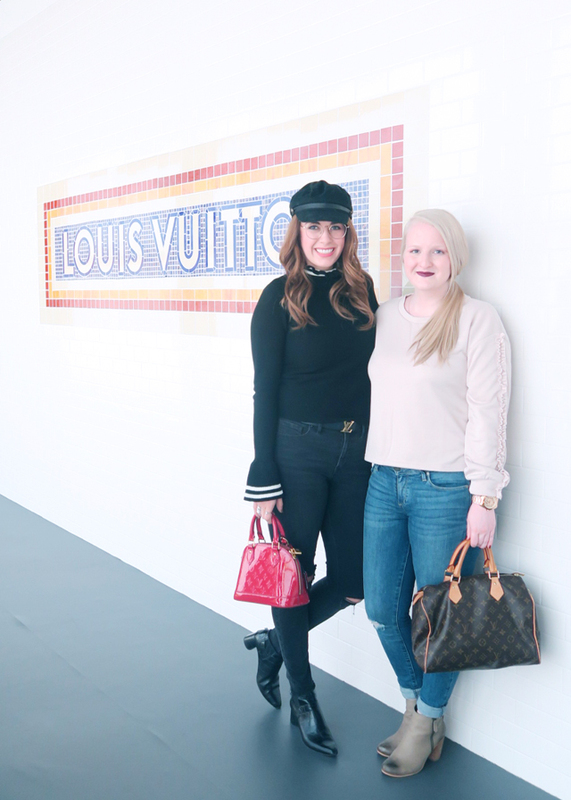 Louis Vuitton Volez Voguez Voyagez Exhibition || This was the big reason we came into the city and I am so glad we did. This is an exhibition that chronicles Louis Vuitton from 1854 to present day. It is a gorgeous mix of art, fashion, and history. If you're a fan of fashion or history this is a must see and it's truly just exceptional. I do highly recommend getting tickets in advance because even with tickets there is a crazy line and a long wait, but in my opinion it was well worth standing in line for an hour to see. Rockefeller Center || We stopped by on our way to the show we saw and there's always something magical about Rockefeller Center during the holiday season. They were in the middle of putting up the tree, which meant it was surrounded in scaffolding, but it was still great to see! Spending some time at Rockefeller Center during the holidays is something everyone needs to do at some point in their life. Radio City Christmas Spectacular || This was my fourth or fifth time seeing the show, but it never disappoints. Everything about this show is fabulous from the dancing to the glittering costumes to the Rockettes' high kicks. This is yet another thing that you absolutely have to go see if you're in New York during the holidays. It's such a spirited show that makes you feel like a little kid again and is the perfect way to get into the holiday spirit! As always I had an amazing time in New York City and cannot wait to get back! What are your favorite things to do in the city during the holidays?